IOB, the Institute of Molecular and Clinical Ophthalmology Basel, bridges basic and clinical science within one organization to develop new therapies for eye diseases, as one of the pioneers worldwide. Globally, the prevalence of eye diseases continues to rise. Most are currently untreatable. In ageing societies, disorders such as macular degeneration or glaucoma are a leading cause of disability and loss of independent lifestyle. Worldwide, and especially in Asia, myopia (short-sightedness) is rapidly increasing. In some regions, up to 90% of teenagers are affected. IOB addresses this challenge as a highly collaborative and interdisciplinary organization. This is possible because of the substantial, long-term financial commitment of the founders, the University of Basel, the University Hospital Basel (USB) and Novartis. The Canton of Basel-Stadt has also granted financial support. The Founders commit to fund IOB for its first ten years. Five years after initiation, it is forecasted that the yearly contribution of the Founders will totally be CHF 20 million and divided as follows: Novartis: CHF 10 million per year, Canton of Basel-Stadt: CHF 5 million per year, USB: CHF 3 million per year, Basel University CHF 2 million per year. Novartis will in any case not fund more than 50% of the total contribution. IOB is constituted as a foundation, granting academic freedom to its scientists. Apart from contributions by the founders, it is expected that the IOB will continue to acquire additional funding from collaborations and/or research funding programs. The highly collaborative and interdisciplinary approach is a key IOB asset. "Today, ground-breaking medical innovations are not just made in a lab, but happen at the interface of academia, healthcare and industry" states Professor Andrea Schenker-Wicki, President of the University of Basel. "With IOB we are creating such a platform, combining world class academia, proximity to patients and a strong commitment to innovation." "Right now, there is a unique opportunity to launch such a specialized institute. Currently, we have limited treatment options for all of our patients with blinding eye diseases", emphasizes Dr. Werner Kübler, Director of the University Hospital Basel. "I am confident that the IOB will bring new hope to countless patients with eye diseases." "Novartis has a strong expertise in ophthalmology, and can successfully bring novel therapies to patients suffering from vision impairment or vision loss", comments Dr. Jörg Reinhardt, Chairman of the Novartis Board. "When Professor Roska and Professor Scholl approached us with the idea of establishing a truly translational institute to significantly advance treatment opportunities, we were excited." Dr. Lukas Engelberger, State Councillor and Head of the cantonal Department of Public Health, adds: "The Basel government is committed to biomedical research and the targeted development of such institutions. Basel offers the necessary locational advantages for such high-level research activities, and IOB is a successful example of public private partnership." Led by two world-renowned experts in ophthalmic research and ophthalmology, Professor Botond Roska and Professor Hendrik Scholl, IOB merges their existing research groups in a new organization. Botond Roska (former Group Leader at the Friedrich Miescher Institute for Biomedical Research in Basel) is a pioneer in fundamental research on the retina and the processing of optic signals in the brain. Hendrik Scholl is Chairman of the Department of Ophthalmology at the University of Basel and Head of the Eye Clinic at University Hospital Basel. He specializes in medical and surgical management of retinal diseases, especially inherited degenerative diseases. Dr. Norbert Spirig, formerly a member of the Executive Board of the University Hospital Basel, is IOB Director of Operations. The new institute promises hope to millions of patients worldwide suffering from currently incurable forms of vision impairment or vision loss. As one of the first of its kind on a global scale, IOB bridges basic and clinical science for eye diseases within one organization. "Our goal is to change the field of ophthalmic therapy. We are working to accelerate the conversion of basic research into innovative treatments, and to turn discoveries and technologies into clinical applications for blinding conditions", Hendrik Scholl said at the biennial World Ophthalmology Congress® (WOC) in Barcelona today. WOC is attended by over 12,000 ophthalmologists from all over the world. The two IOB directors organised an invited scientific symposium entitled "Latest Developments in Gene Therapy for Retinal Disease". 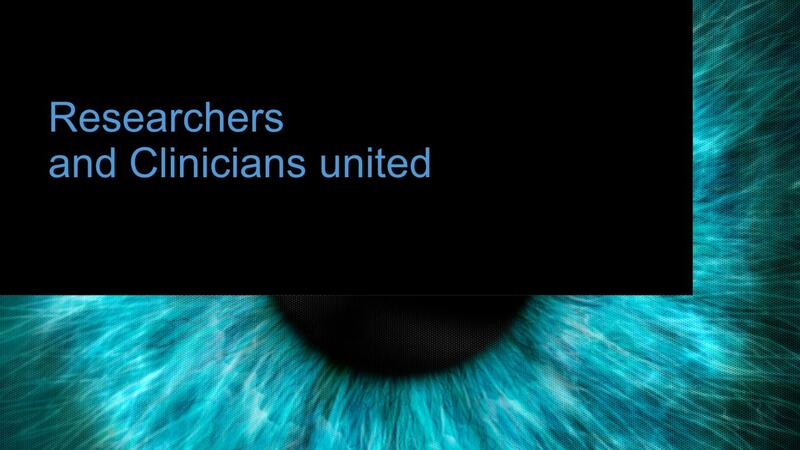 "At IOB, our basic researchers and clinicians work hand in hand daily to improve the under-standing of vision, and of the mechanisms involved in eye disease. Together we develop new treatments which change the practice of ophthalmology, based on the genetic, structural and functional understanding of the cell types and their interactions within the human eye", Botond Roska explained at the WOC.